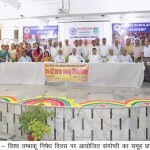 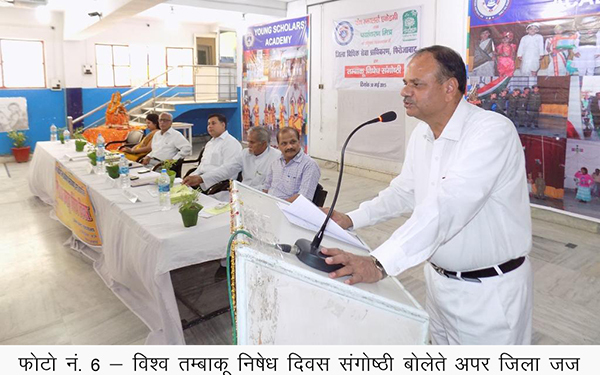 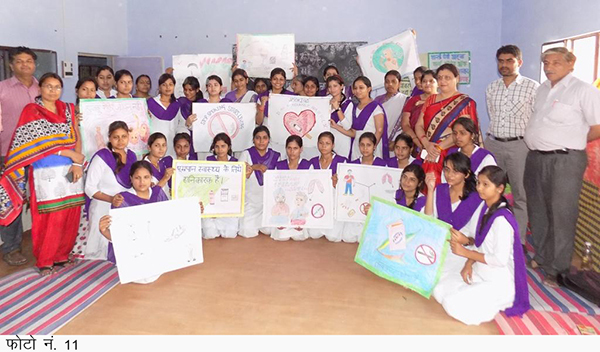 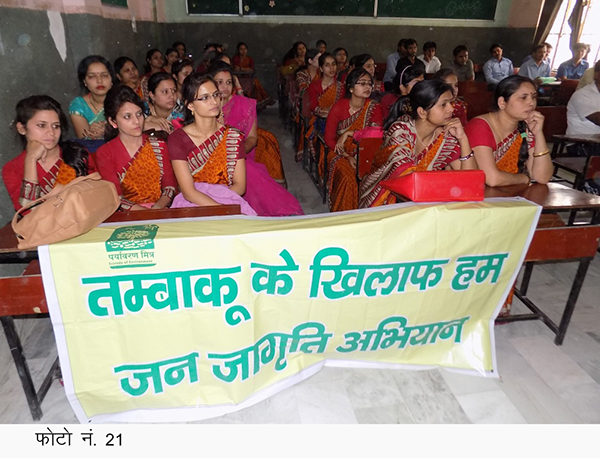 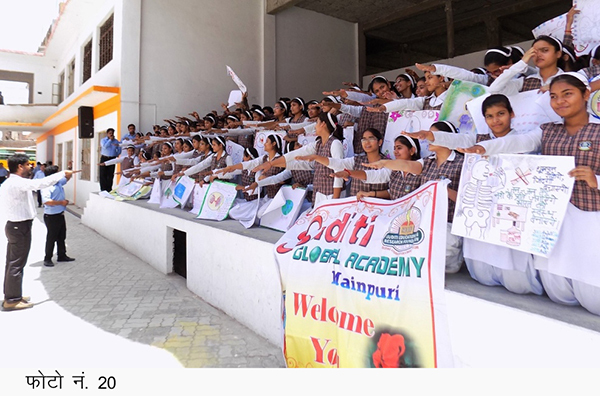 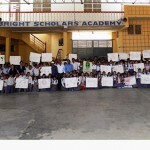 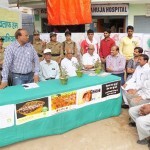 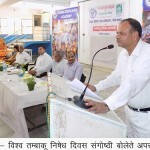 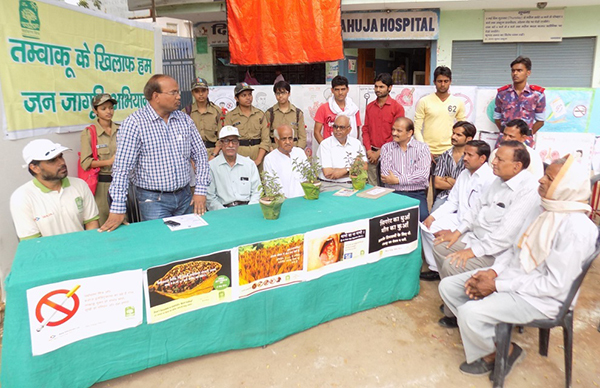 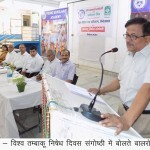 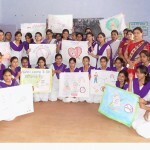 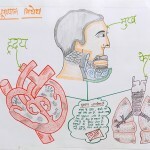 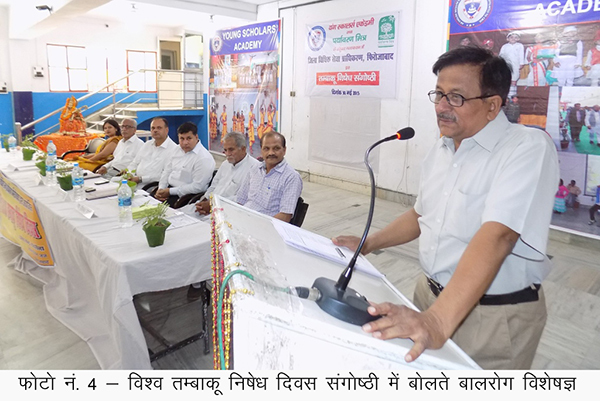 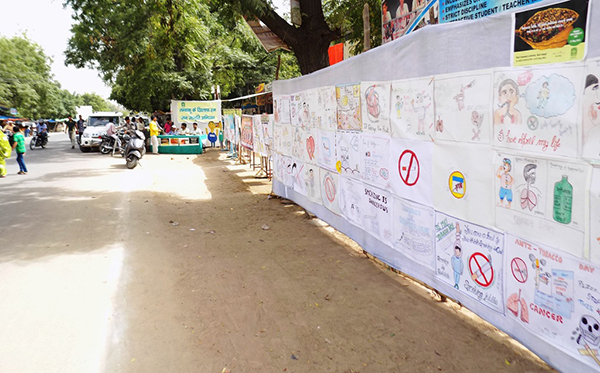 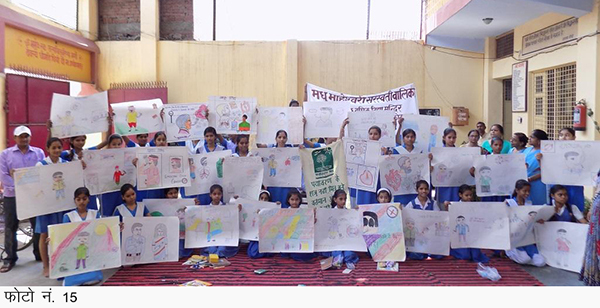 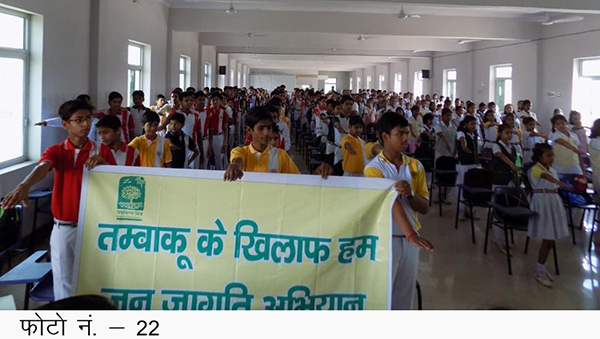 An awareness fortnight was organized as part of World Anti-Tobacco Day. 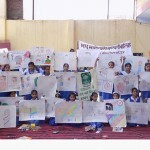 A letter of request to put pressure on the government to ban tobacco products, stop selling and use of cigarettes and paan next to colleges and community areas and make sure that tobacco products are not made available to persons under the age of 18.
tobacco power point presentations, painting contests, workshops with teachers and an anti-tobacco pledge gathering. 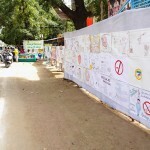 A painting exhibition was also organized for this occasion. 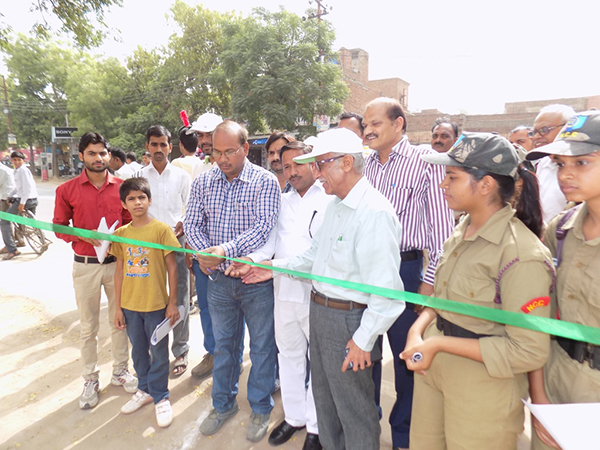 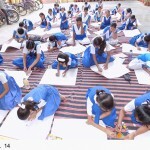 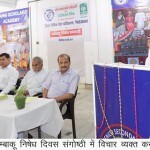 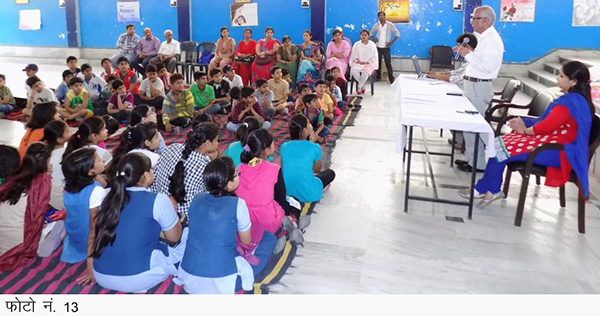 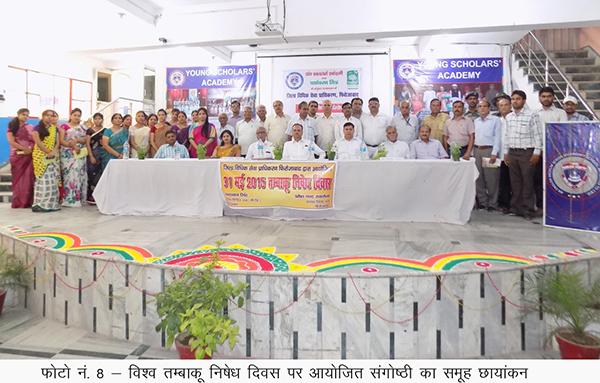 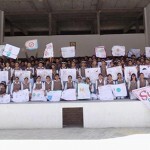 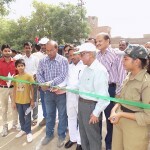 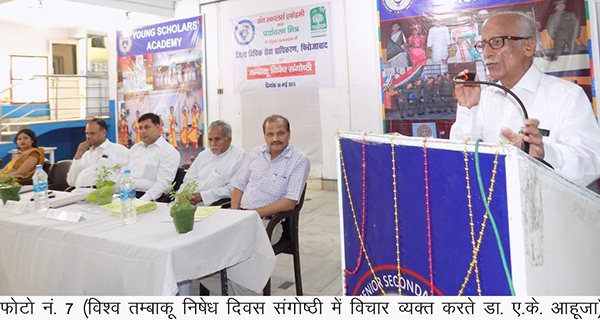 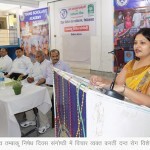 Many schools, colleges, teachers and dignitaries of the region attended the event. 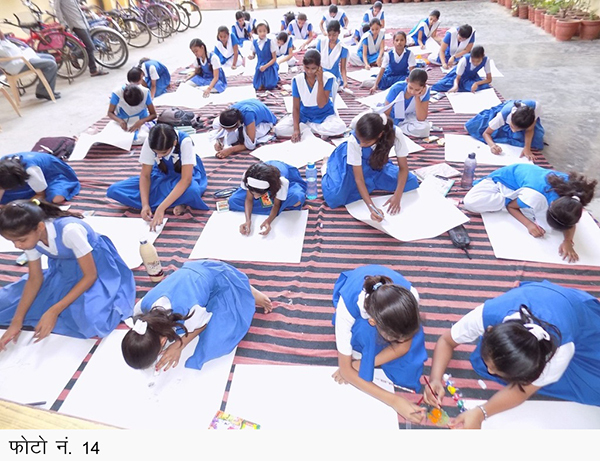 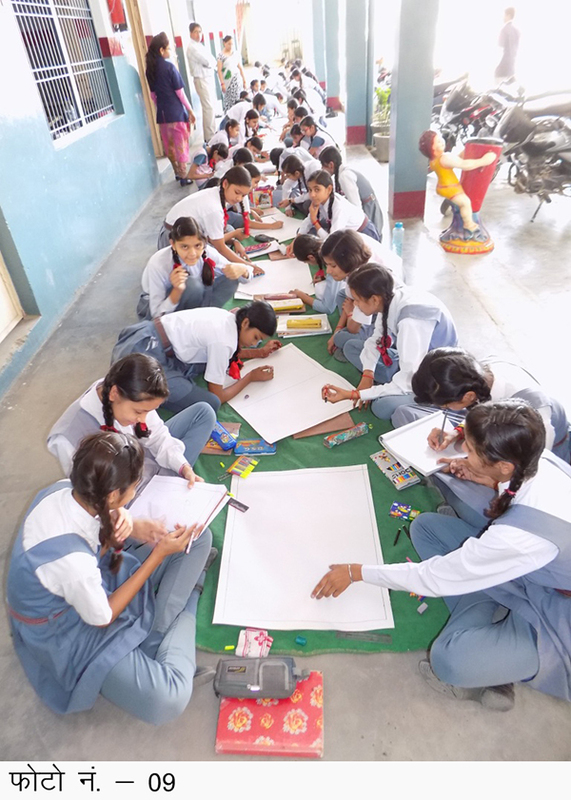 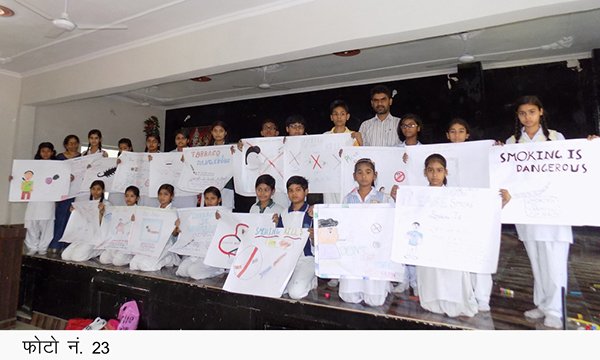 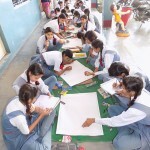 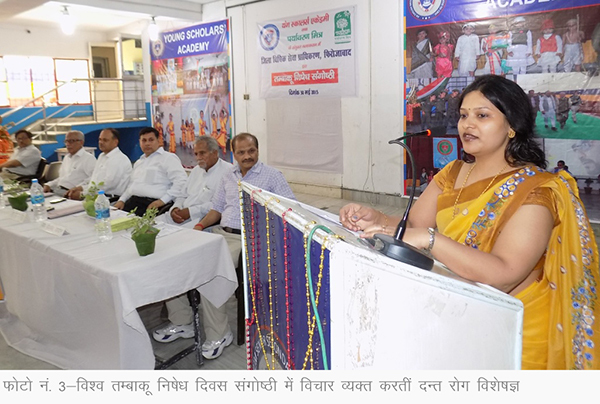 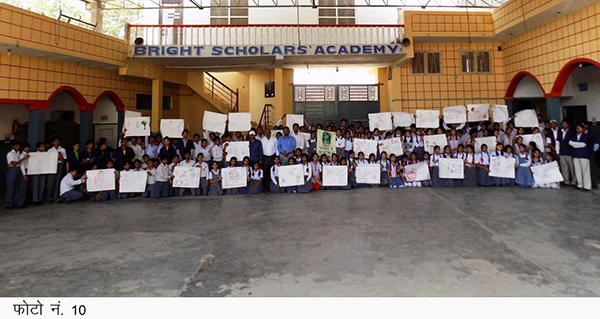 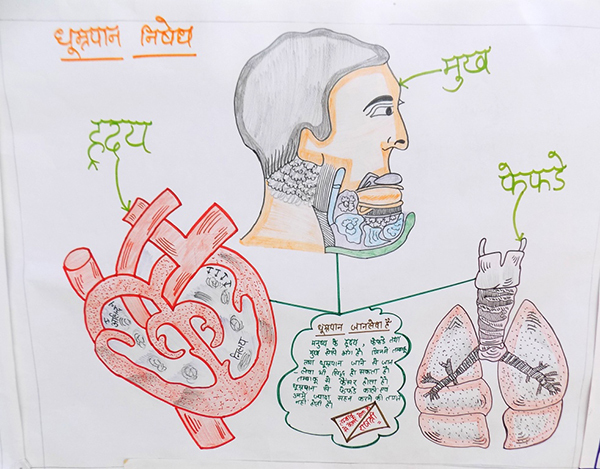 Paryavaran Mitra reached out to thousands of students and teachers to promote the anti tobacco campaign through the above mentioned initiatives.